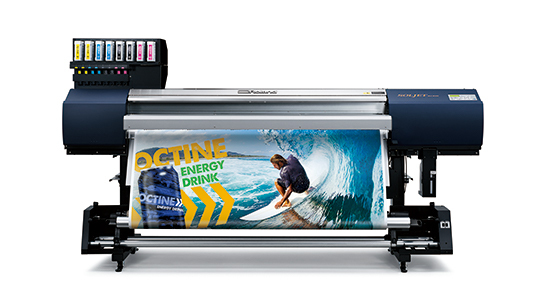 Roland DG’s digital printing business consists primarily of developing wide-format inkjet printers and vinyl cutters for sign and display manufacturers that produce billboards, posters and other graphic works. 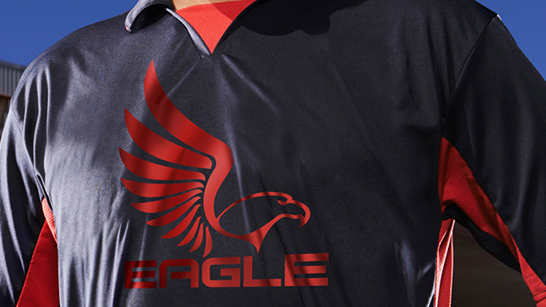 The company provides a diverse lineup of printers that suit the requirements and applications of a variety of users. The most popular of these are inkjet printers that use eco-solvent inks with excellent weather and water resistance for printing on sign media such as vinyl, canvas and paper. 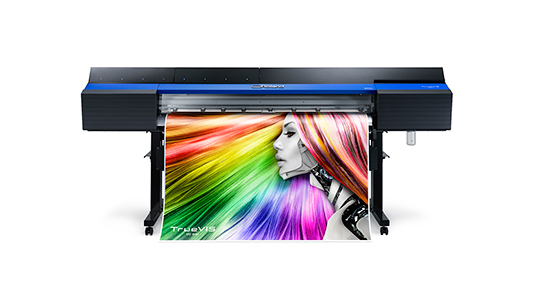 Roland DG is acclaimed as the pioneer of printer/cutters that integrate printing and cutting functions into a single unit, and is also recognized for incorporating the latest digital printing and color management technologies in its high-quality, high-definition printers. 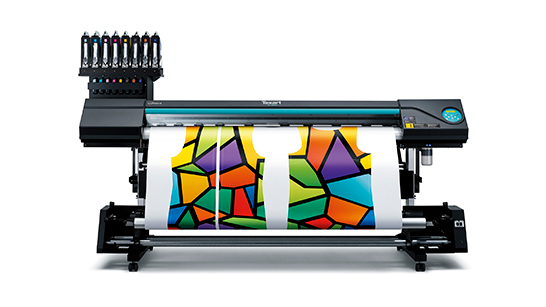 The company is today known as the top brand of inkjet devices for durable graphics worldwide. 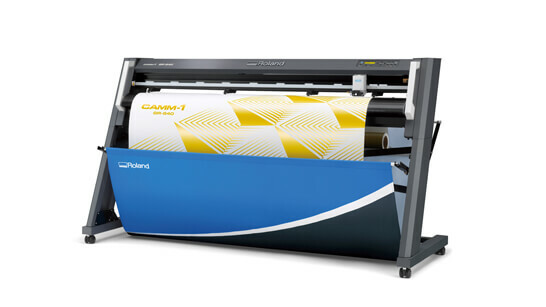 Most recently, Roland DG has been expanding the potential of the on-demand printing market with a lineup that includes UV-LED printers capable of handling a wide variety of print applications, and dye sublimation transfer printers that excel at printing onto textiles, enabling users to print exactly the right quantity of what they need, exactly when they need it. Eco-solvent inkjet printers use eco-solvent ink to print on media such as vinyl, canvas and paper. High-end models that deliver exceptional quality and productivity are used throughout the sign and display industry, while standard models that feature user-friendliness and versatility suit both professionals and entry level users to produce a wide variety of high quality promotional materials. Printer/cutters that are capable of contour cutting printed photos, illustrations, text and other graphics are ideal for creating stickers and labels, as well as apparel heat transfers, advertising with intricate designs and much more. 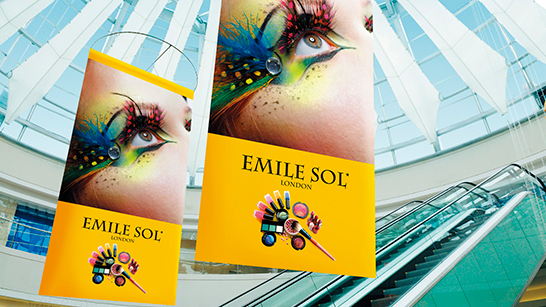 Models that use metallic silver ink deliver brilliant, luxurious printing befitting name-brand and high-fashion promotional materials that require an extra level of glitz, or for creating unique and distinctive fine art. 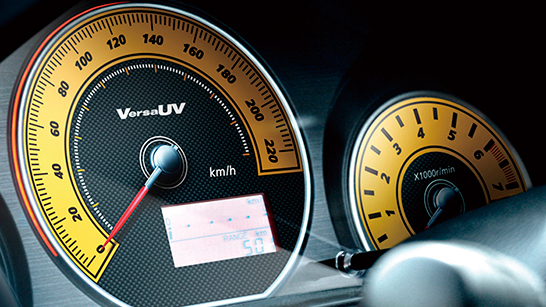 UV-LED inkjet printers use UV ink that is cured by exposure to UV (ultra-violet) light. They are capable of printing on a wide variety of materials, such as leather, film, textiles and resin substrates. 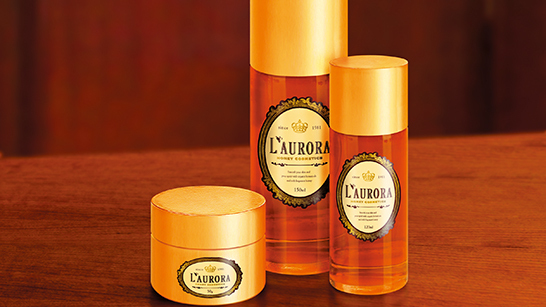 The addition of clear ink produces unique 3D effects like textures and embossing. Ranging from 12 inches up to 64 inches in printing width, the company’s UV printers support printing on a wide variety of flexible roll media, rigid substrates, and even 3D objects. Today these devices are popular for printing stickers and labels, as well as packaging prototypes, smartphone and tablet cases, stationery and other unique products. 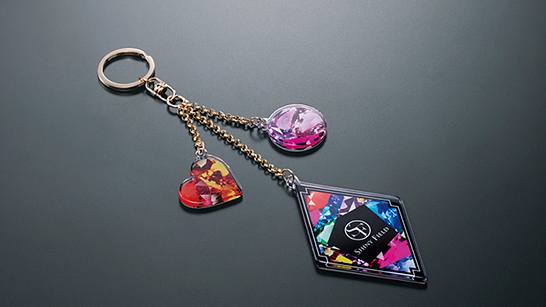 They are also used for designing personalized accessories, producing novelty gifts and customizing mass-produced items, with the UV market expected to grow even further in the future. 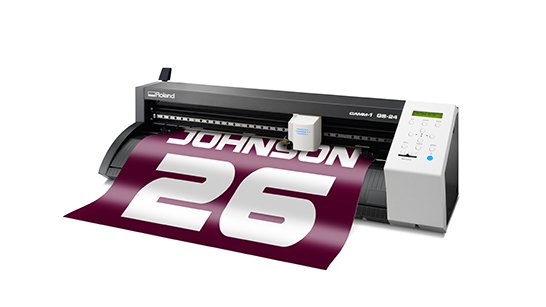 Dye sublimation transfer printers are used for printing onto textiles, where illustrations, photos or other images are printed in inverse on transfer paper with sublimation ink, and transferred to polyester using heat. These printers are used for a wide range of textile decoration applications, including sports and fashion apparel, soft signs such as polyester banners and flags, curtains and other interior décor as well as promotional goods and personalized gifts. There are two models available in today’s lineup. 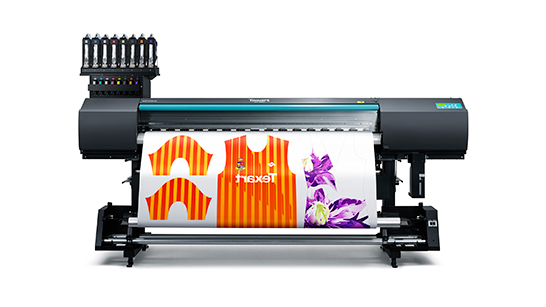 One was developed to expand the number of fields that dye sublimation transfer printers can be used in, while the other delivers the exceptional productivity and rich, vibrant detail required for production of colorful fashion and sports apparel. This lineup meets the increasing need for on-demand production using digital print technology in the rapidly growing textile printing field. Vinyl cutters are used to cut the contour of text, illustrations and other images created on a computer. Ideal for producing signs and promotional stickers, vinyl cutters cover a wide range of other applications such as cutting window tinting for vehicles, patterns for apparel, names and numbers displayed on uniforms, and stickers and decals. Roland DG first released its first cutting machine for sign production in 1988 and, since then, has sold more than 440,000 cutters. Today’s lineup has been developed to meet a diverse range of user requirements, with the professional model delivering exceptional cutting precision and speed, and the compact model designed for personal and office use. RIP & Print Management Software assists users in taking full advantage of the company’s printers. These software platforms make the printing process much smoother by providing color management to suit the features of the printer, ink and media being used. They also come with page layout functions for enlarging, reducing and repositioning data, as well as advanced capabilities such as the Roland Color System Library for efficient color matching. From the beginning, Roland DG recognized the significance that RIP software plays in the printing industry, and has aggressively devoted resources to improve functionality and user friendliness. In 2015, Roland DG developed the new Roland VersaWorks Dual featuring the Harlequin RIP® from Global Graphics. This not only enables users to work directly with PDF files, but also ensures that printing data is recreated faithfully with a full array of effects such as drop shadows and transparency for added convenience during production. 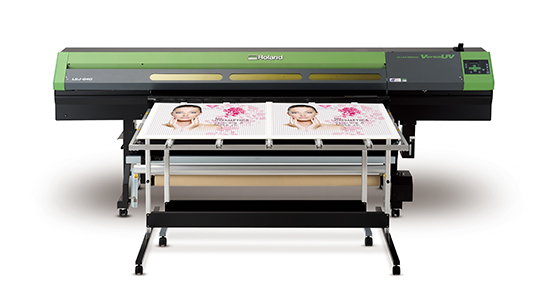 Roland DG’s wide-format inkjet printers have been widely accepted by sign and display makers, and have propelled Roland DG’s business for two decades. In recent years, however, the sign market in developed countries has matured and new advancements in customer value and applications are required for growth. The advantages of digital printers continue, however -- in particular, the value of on-demand printing, which enables efficient small runs, personalization, and improved productivity and workflow that are essential to a variety of new markets. Roland DG aims to establish its products in the textile, retail and industrial markets and is looking at further expansion of its digital printing business as a whole, actively investing resources in the development of innovative core printer technologies such as print heads and inks as well as software. 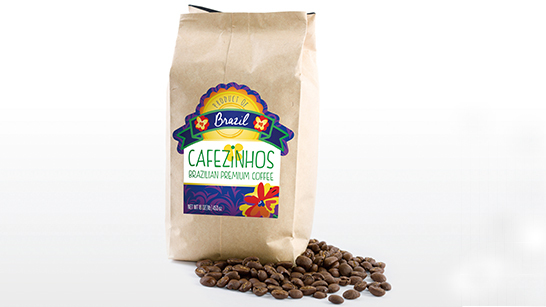 New application development and customer value creation are also being developed with the goal of cultivating new markets as a digital printing solutions provider. In addition to the sign market, Roland DG plans to introduce the value of on-demand printing to the textile, retail and industrial markets. 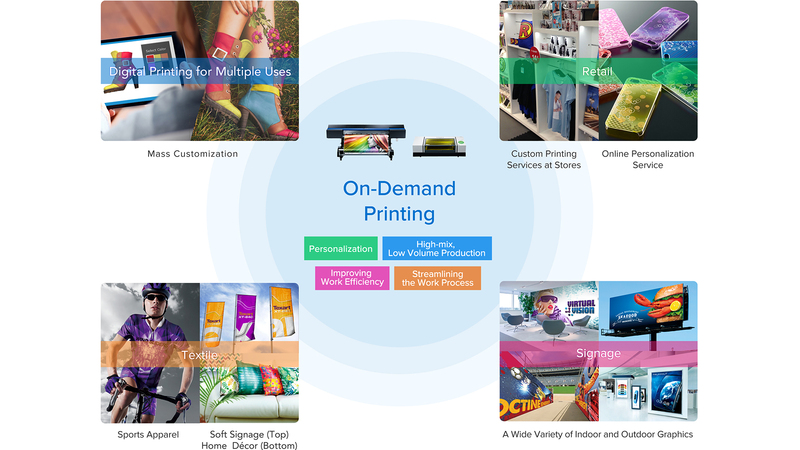 The market for on-demand printing is expected to expand still further in the future with the growing desire for personalization that reflects individual preferences and lifestyles. For example, there are numerous examples of the installation of the company’s UV printers in production lines to accommodate the customization and decoration of parts and modules, as well as final products to meet the increasing premium placed on aesthetic value that goes beyond mere functionality. Together with refining its printing technology and the ability to print on a wide variety of materials and three-dimensional items, Roland DG will explore markets where these capabilities can be applied and cultivate businesses that can provide high added value. 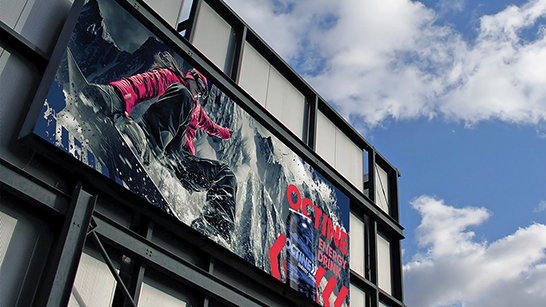 Roland DG was one of the first in the industry to see the potential of inkjet printers in the textile printing market, and provided practical solutions for the production of soft signage such as banners and flags as well as for sportswear decoration. 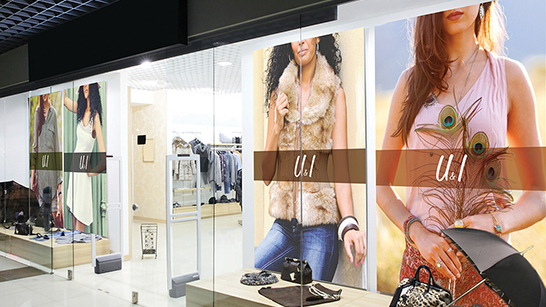 In recent years, however, with the diversification of individual lifestyles and shortening of fashion cycles, there has been increasing demand for digital printers that can accommodate efficient high-mix, low-volume production, personalization, and design prototyping for fashion apparel and interior décor. 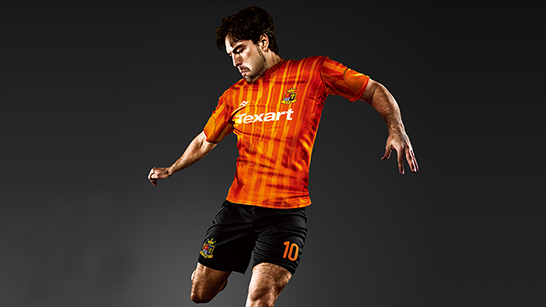 In 2014, Roland DG launched the Texart brand specifically for digital textile printing in order to accelerate its sales in these markets. Analog transfer printing using a screen press is still the main method of printing on textiles, but while this method is ideal for the production of very large quantities, it is not well suited for high-mix, low-volume production, or rapid production in response to changes in fashion. Furthermore, there is a large environmental burden in terms of the electric power required for machine operation, water used for washing the fabrics, machines and plates, and drainage of polluted water, etc. There is particular concern regarding the extent of environmental problems in developing nations where screenprinting is often undertaken. In response to these issues, Roland DG intends to increase the range of printable materials, promote the strengths and expand the potential for digital textile printing. 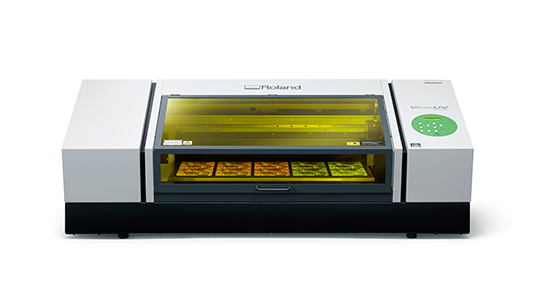 Roland DG’s digital tools, including desktop-size printers, vinyl cutters and engraving machines, are acclaimed for their compact size, ease of use and affordability, and are widely used by sole proprietors and small businesses to provide custom services both online and offline. For example, the METAZA impact printer series launched in 2000, which imprints detailed text, photos, logos and graphics on metal or acrylic surfaces, has been adopted by kiosk owners, retailers and e-commerce stores, particularly in the US and Europe. 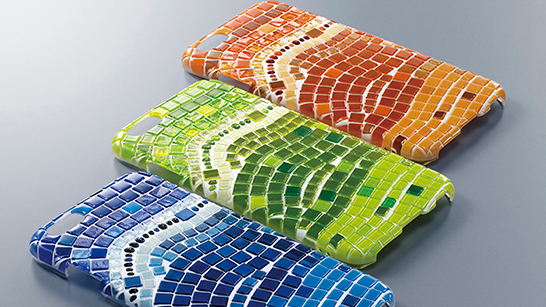 In recent years, the company has seen an increasing number of e-commerce businesses using its VersaUV LEF printers to provide custom printing of smartphone cases and accessories. Also, in Europe, dedicated personalization areas are being opened in hypermarkets in order to create a new shopping experience for their customers. Equipped with not only the LEF series printers, but also devices such as the BN-20 desktop eco-solvent printer/cutter and STIKA portable vinyl cutter series, these boutique stores-within-a-store provide on-site printing of photos and illustrations brought in by customers onto various blank goods sold in the same space. Further expansion of such businesses is anticipated, given the growth of e-commerce and individuals’ increased desire for self-expression. Today's sign market is typified by intense competition due to the proliferation of wide-format inkjet printers. 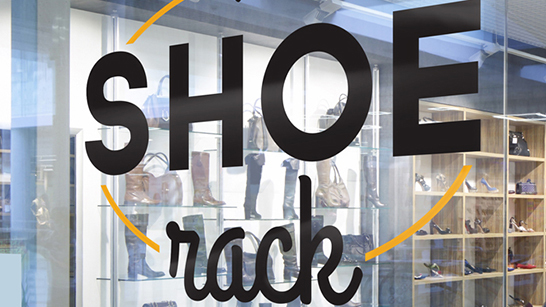 Sign shops seek to gain an advantage over their competitors by successfully meeting consumer demand for quick delivery of high quantities while keeping operating costs down. Roland DG addresses these issues by developing and delivering high value-added products that feature excellent productivity and quality with low ink costs, and that provide versatility, thus enabling users to expand the scope of their applications and businesses. By providing extensive support including Roland DG Care, Academy and Creative Centers, the company intends to revitalize the market by helping customers realize the full potential from its products. In addition, further growth is anticipated for sign markets in emerging countries with products and applications that add value to meet economic growth. Roland DG will use the expertise and know-how developed over many years in the sign markets of advanced countries to collaborate with local partners in promoting solutions that are optimized to suit the needs of each country and region.